Waiting for a flight and passing the time by playing with Instaeffect photo app. 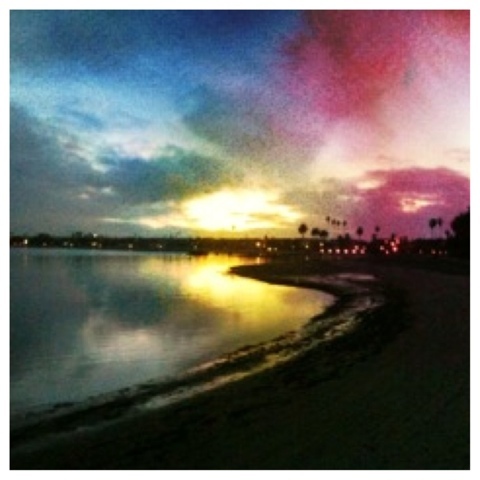 Loving this watercolor sunset effect on a picture of the bay that was originally too dark. This one would be fun to paint. I'm finding such old treasures in my iPhone camera roll that I had forgotten about. It's nice to have some time to sit and scroll through the images that make up my world.